The greater your responsibility, the greater the pressure on you to focus on and address external matters. You focus on meeting work and family obligations and duties, attempt to satisfy and maintain the demands of many relationships, and then you address what matters to you with whatever time remains. Do you wish you had time and space to delve into what really matters to you? Do you have facets of your business and personal life and performance that would benefit from genuine attention? Could you benefit from a safe, confidential space with a trusted confidant? If you answer ‘yes’ to any of these questions, you can definitely benefit from coaching. Coaching is a fabulous way to take charge of your life, improve personal performance, own a new work role, strengthen relationships, deal with conflicts, manage a transition, develop personal capabilities, pursue stretch goals, and manifest dreams. be open to self-directed learning of new skills and ideas. at least wish to occupy this growth space and develop these capabilities. As your coach, I create a confidential space within which you experience unrestricted self-governance. You set the agenda. You work on what matters to you. It may be quite an unfamiliar experience to be in an environment where you focus solely on what matters to you without anyone else taking any degree of responsibility for what you do or create for yourself. Coaching will enable you to enter new, previously unexplored, territory. I support and enable you by walking alongside you as your guide. I use questions to assist your exploration, expand your thinking, and confront new possibilities. I provide space for you to consider and reflect, generate insights, and develop approaches and ideas that work for you. Being with “not knowing” is integral to the coaching process. It precedes insight, the generation of one’s own solution that meets your unique approach and learning style, and which you own because they are your own ‘Eureka’ moments. A major outcome of coaching is your strengthened self-awareness and your capacity to intervene on yourself when you recognise you are undermining your own performance. 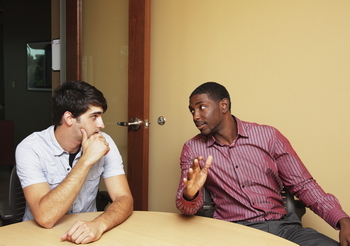 Coaching is offered to support you generate ideas and pursue solutions. Are you ready for the benefits that coaching can offer you? Being “ready for coaching” also considers how to prepare for a session, the first in particular. One of the tools that can assist you be ready for coaching is the Pre-Coaching Questionnaire. It is a simple process to assist you clarify and focus on what matters to you. While it provides me, your coach, with useful information, it is primarily offered to support your preparation for coaching. You benefit from completing it more than I do. Coaching may be used to establish and pursue goals over an engagement (an agreed series of coaching sessions) or to address burning issues a session at a time. It can also be a combination of these and other possibilities. When you turn up for a coaching session, it is great if you already know what you want to work on, and are prepared to work. If you are not clear on what to work on, at least be prepared to work, to think, to be challenged, so that I may assist you gain the clarity that is eluding you. We will partner together in creating the purpose of the session, and ensuring you walk away satisfied with the time we spend together. If coaching is right for you, or you wish to explore how it may help you, fill in the Pre-Coaching Questionnaire (click here for the questionnaire), and book a free initial coaching session with me, Stephen (click here to book a coaching session). are prepared to get as much from a session as you can, knowing what you wish to work on, or at least being prepared to work with your coach to develop that clarity. If you have never had a coaching session with me, you are invited to experience a free coaching session. To take up this offer, complete and submit the Pre-Coaching Questionnaire (click here for the questionnaire) and then book the free (up to 90 minutes) session (click here to book the session). Posted on 2017-07-11 2017-07-11 Author nzcatalystCategories Attitudes, Behaviours, Beliefs, Coaching, Coaching Approach, Feedback, Insight, Leadership, Leadership Coaching, Learning, Personal Growth, Personal Power, ResponsibilityTags attitudes, behaviours, beliefs, coaching, coaching approach, insight, leadership, learning, personal growth, personal power, responsibilityLeave a comment on Am I Ready for Coaching? 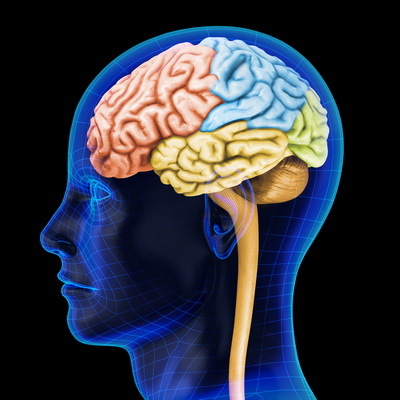 Neuroscience increasingly provides fabulous insight into what the brain actually needs for our performance to improve. As a coach, I am aware of how individuals and teams can improve their capacities as they establish goals that engage the brain, and then they work to keep the brain engaged in pursuing their ambitions. By recognising goals as personal and/or team developmental opportunities and approaching them with the correct mind-set much power can be developed. SMART goals have been written about endlessly, with more ways of applying words to the acronym than I have been able to keep up with. The version I have adopted is Specific, Measurable, Agreed to, Realistic, and Time Bound. It is a great formula, and is used with success in pursuing individual and team goals the world over. Projects use SMART goals to define high-level goals for the project, and the goals that define results needed from each phase, milestone and work package. In many respects, these goals can be considered Checklist Goals, short- to medium-term goals that must be satisfied for the project to be delivered, and achieving them signifies some degree of delivery has been realised. Checklist goals have a lot of clarity about HOW they will be achieved. The clarity of how to progress, and then the tangible, relatively short time frame for delivery really works well for our brains. They get the brain fired up and engaged in a pattern now recognised with staying focused and on task. SMARTI goals are a special form of goal, the Stretch Goal. The ‘I‘ for Inspiring, recognises that real change comes from doing something outstanding, something almost impossible. J. F. Kennedy provided a very clear SMARTI goal when he stated that Americans would land on the moon before the end of the decade (1960’s). The power of his statement inspired the nation, indeed the world, and provided a fantastic aspiration that galvanised years of research, development, action and delivery. The inspirational component provided a common purpose and direction that aligned countless teams of people to make landing on the moon a reality. What really worked for the moon landing was the combination of inspirational element that clearly spelled out the aspiration, and the planning detail that spelled out how to achieve the goal, as the how came clearer. An important aspect of sound planning is that it progressively elaborates on the detail and irons out the kinks in approach, addressing work to be done, risks to address, and who will do what when. Performance against Stretch Goals is undermined by a lack of planning detail on ‘how’ to achieve the goal. Neuroscience has discovered that Stretch Goals do not fire the brain in the same way that a Checklist Goal does. The long-term nature of the Stretch Goal and the frequent lack of substance on how to achieve it means the brain does not engage as it does with the short-term goal. It is a contributing factor for why energy and focus drops for Stretch Goals and they get dropped after a while. Science is showing more clearly that Stretch Goals must be supported by ongoing attention on how to achieve them, effectively engaging the brain with some clarity on ‘how’, and with recognition that there will be obstacles to overcome for them to have lasting motivational power. When I work with coachees on their goals I ensure that their stretch goals are aspirational, and that there is sufficient detail developed on how to achieve the goal for the coachee to stay engaged, and performance can be monitored. Not only is it important to know how you will achieve something, it also matters that you recognise and acknowledge progress, or its lack, and regularly fine tune your behaviours to align with your purpose. Much of the power of coaching comes from a coachee owning their results and recognising what they are doing that is making the difference. Goals can be short-, medium-, or long-term in nature. It is the ownership and commitment to our goals, the responsibility we hold for their success, and the action we take to deliver them that strengthens our power, our ‘ability to take meaningful action’. Make goals work for you. Include an aspirational component that inspires you to action, and develop the detail so that you can stay engaged and monitor your performance. Tremendous energy can be poured into changing old patterns and behaviours. When you identify some quality of yourself that is not working for you, the tendency is to place enormous attention on changing it to a satisfactory behaviour. For most of us, that is accompanied by our internal critic working overtime, that voice within us that speaks into our middle ear about how we don’t measure up, won’t amount to much, and are under performing. The more effort we exert to change, the greater this voice that articulates all the accumulated negative feedback of our past becomes. It can become a riot in our mind. Even without the critic, and there appear to be the fortunate few with that blessed silence, focussing on changing old patterns tends to be a long and relatively unrewarding process. Neuroscience has identified that once a neural pathway is established, and only a few repetitions are needed for the brain to adopt and establish a new pathway, it is almost impossible to remove. The best approach for change is to bed down another pathway, and place attention on asserting that behaviour until it becomes dominant. Rather than remove the old pathway, the idea is to create a newer, more productive, and more frequently used, pathway that makes the less productive pathway irrelevant through disuse. I had an experience of this recently. Following significant surgery I had earlier last year I have found my confidence when facilitating groups markedly diminished. The degree of nervousness prior to running a session was significantly greater than my pre-surgery experience, and after I completed a session I found my critic undermining me for the most insignificant of reasons. However, when I was actually in front of the group running the session I had almost none of those issues, finding myself comfortable and increasingly fluent in my facilitation. On a recent weekend programme, the struggle against these before and after pain-laden attacks on my psyche were particularly pronounced. Rather than fretting over the behaviours that were undermining me, I shifted my focus by firstly sharing very simply with others I trusted that I was anxious, struggling, and otherwise authentically expressing and naming my experience in the moment. This had the effect of diminishing the energy building up around the anxiety, and curbed it. I then found that my capacity within a session improved because my warm up to it was cleaner, and the post-session internal shame game also diminished. As the multi-day programme unfolded I continued this practice and found that the confidence was easier to achieve as I owned my anxiety without making a big deal of it. I consciously placed my attention on the outcome I was seeking, a fluid and confident facilitation session. My focus and attention was very much placed on the outcome I sought rather than on changing the old pattern of anxiety, and the transition felt relatively smooth. When you have an unproductive behaviour that is dominating you, perhaps you can identify what you would prefer to do instead, and find ways of asserting that behaviour, rather than condemning and “changing” the old one. Some ways of supporting and enabling such change in oneself can be journalling, enlisting the support of a coach, and developing awareness of your inner mental and emotional world to determine the most opportune intervention to offer yourself. It is so easy to offer advice when asked for input. In many cases it feels fantastic being asked, and sometimes even when not asked, to offer a ready solution and send the other person on their way with a greater sense of how much you know and is needed. Sometimes the advice is given at the first hint of what the solution might be, not taking the time to hear the person out, because “it is so obvious” and after all “that is what they want”. Of course, there are times when it is appropriate to offer advice, examples being: You are the subject matter expert and they specifically need your expertise that they do not possess themselves and cannot develop easily in the time available. However, there is an alternative to advice giving that, while taking more time and effort, offers great rewards both to the provider and the seeker of guidance: having a coaching conversation. With a coaching conversation your responsibility as the provider is to enable the growth and development of the seeker, while leaving responsibility for what action to take with the seeker. Give advice, and it is your solution, your approach, your responsibility, and there is no ownership by the seeker. By having a coaching conversation you facilitate the thought process of the seeker, open and extend their capacity to develop their own solutions, enable them to have “ah ha” moments of realisation from which they permanently own the insight and develop in them a greater sense of self-esteem. In general, the benefits to you as the provider include a rich and meaningful conversation, the knowledge that someone else has left your space with greater capacity within themselves, and most likely you have strengthened the relationship with and the loyalty of the seeker to you. 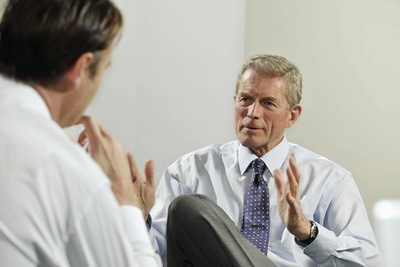 At its heart, the coaching conversation is a dialogue in which you, as the provider, listen for understanding and potential, use questions to discover and extend the seeker’s thought process, provide open, clear, balanced and honest feedback, and facilitate the conversation so it remains on track. It does require ready solutions to be parked, for you to value the seeker as someone worth your time and investment, and for you to develop your capacity to truly be with someone else instead of caught up in what you need to do next. As someone who is often approached for career advice, I vouch for the personal benefits of shifting tack and developing capacity to have coaching conversations. I experience a much deeper connection with and richer experience of people with whom I have such conversations. I enjoy my shift of attention being from “being right” in the advice I give, and all the responsibility that goes with that, to the appreciation of the qualities and capabilities of the person I am conversing with, and recognising the genuine intent within them to perform as well as possible. It is a refreshingly different and exciting place to function from. Anyone can occupy this space. What motivates you and strengthens your desire and capacity to perform? Of the people who have had the most profound and positive impact on your development, what were the key qualities they exhibited? If you find yourself offering advice, what factors are you aware of that encourage this behaviour? Do you have any interest in strengthening being less advice-giving? If so, what could you do to bring about that change within yourself? Last weekend I co-facilitated a weekend for men, and came away energised and enthused. When I work in alignment with my purpose I experience ease and lightness in my being. I become more energised, enthused and engaged with life, and have complete certainty I am doing what I am meant to be doing. When I am off purpose I get tired and restless even if I am satisfied from doing a good job; on purpose, I soar. I have several deeply held statements of vision, purpose and contract with myself that ground me in my life. When I drift from them I feel a degree of disturbance that highlights the distance, and that acts as a call to return. The statement that sings most fully to me at present is: I am the wise guide who walks with and walks by the weary traveller at the temple of love and transformation. For me, this speaks to how I function when I work with others through transformative periods and processes. I do have value to offer. The other person is there as a self-directed, autonomous being. My contribution arises from having been through significant transformation as I have journeyed through life, and carrying the wisdom of such experience. I am available, have much to offer, and it is the traveller’s own choice whether to engage with me. It is also for them to determine what to adopt of what I have to offer. As a guide I offer or invite. Compulsion, coercion and demand have no place. The joy for me from last weekend was from profoundly engaging with men who chose to have me as their guide, who fully owned their desire to create something more workable in their lives, and who courageously stepped forward and did their work. I was present. I offered suggestions, support and invitations along the way. The results were and are all theirs. They continue their journey owning their own wisdom that I may have assisted them to connect with. The process of engaging with your own work, deciding to transform your life, and to step forward into the unknown with determination is an extremely courageous and powerfully liberating act. My privilege is to be party to some precious moments as an invited guide. When I am in that space, I know I am in my zone, doing the work that aligns with my purpose. Do you know what your purpose is and where your zone is? Life is full of its surprises and moments. There are some that catch us off guard, with only subtle differences from other situations where we have succeeded against all odds, yet in this instance we come crashing down. From the outside observer it could almost feel random, yet within us there is something new and uncharted that makes the result no less shocking but perhaps less surprising. We have roles we develop from the moment we are born. Survival functions include eating, eliminating waste, learning and coping. We might have a role of “playful eater” which our parents sometimes found funny, and at other times got angry with us, perhaps because that moment seemed less cute, especially as they were in a rush to go out. The “Inquisitive Learner” is something toddlers are well known for, getting into everything. As we develop and experience life, we develop roles for each context of life that we encounter, the collection of roles comprising our personality. As we enter a new context we may be able to borrow capacities from similar roles, but there is a period of vulnerability as you familiarise yourself with new areas of development, particularly when there are areas of functioning required in the role that you have not developed. Each role can be underdeveloped, embryonic, adequate, or overdeveloped in some aspect. Each role consists of Feelings, Actions and Thoughts, and are used within a Context. FACT is an easy acronym for remembering them. When we lack a fullness of expression across any of the feelings, actions and thoughts, we are underdeveloped. Where they exist but have not achieved adequate expression in the given context, they are embryonic. Those that we over rely on, that are patterned behaviour, and that therefore get in the way of us fully, spontaneously and creatively living life are overdeveloped. Whether moving into a new position at work, starting a new relationship with someone, embarking on a new adventure, or seeking to learn a new skill, we have many unknowns and among those there are roles we will need that we don’t fully embody. That is a great time to consider your preparedness and the possibility of some form of coaching support that can provide you assist you bring to the fore and strengthen those roles that you need to succeed. In a new situation you don’t know what you don’t know, and to have someone that can assist you gain the FACT of life can be a fantastic way to walk with confidence into new environments, responsibilities and relationships.